We are offering Machine Erection Services to our valued patrons for shifting machine from one place to another effectively. These services are executed by our expert professionals making sure that machines are shifted nicely without causing any harm to any part. 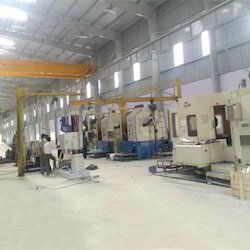 All the loading and unloading process is done by advanced tools and equipment. We take care of all the process including dis-assembling and assembling of machines and thus retaining their configuration. Looking for Machine Erection Services ?